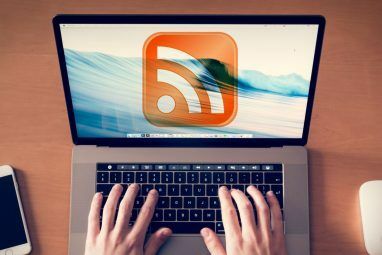 RSS feeds have become the de facto standard for delivering massive amounts of content in a very simple to read and simple to understand format. Any website delivering daily, weekly or even monthly updates, and lacking a ‘Really Simple Syndication'(RSS) feed, just isn’t delivering what is becoming the most popular form of delivery. Along with the RSS feed, have come several hundred readers, many promising different features and options, and many with several pros and cons. There is no doubt that Google Reader has become far and away the most popular of all of these readers, not only for its integration to your Google Account, but for its ease of use and excellent features as well. However, when it becomes overwhelmed with hundreds and thousands of articles, it becomes extremely cluttered and almost impossible to go through. That’s where Adobe Air’s Snackr RSS ticker solves this problem. Snackr RSS Reader, is an incredibly handy, transparent ticker that continuously scrolls at the bottom, top, left or right part of your screen, delivering random items from all of your various RSS feeds. I’ve only been using it for a short time, and I am quickly finding out that it delivers many more items that I would probably glance over with a typical RSS reader. The screenshot above only shows you a small portion of my screen. The ticker stretches across your entire screen, either horizontally or vertically, and is always scrolling at your preferred speed. It looks very similar to a sports or stock ticker from your preferred television news source. When you find an item you like, you simply click on it, and a small preview box appears with a link to the post or article itself. The preferences are limited, but you pretty much get everything you need. You have the ability to speed up and slow it down as you please, move the ticker to your preferred location, remove items that have obtained a certain age, and also control if the ticker will remain in front of all windows. Of course you also have the ability to manage your feeds, including importing via OPML file. With all of its perks, there are a few options it lacks. Surprisingly, it can only reside in your taskbar, not your system tray. It needs some additional configuration for managing your feeds. Such as the ability to show only tech items, or news items. It would also be nice if it integrated into your Google Reader or other online reader account, so you wouldn’t have to manually update your feeds in both locations. All together, this RSS reader/ticker is an incredibly useful tool for finding several different articles and posts, that you wouldn’t normally find via Google or other RSS reader. It does require Adobe Air, and a incredibly simple installation, but once you get your feeds imported, it’s smooth sailing from there. Do you use Snackr? If so, what features would you like to see them include? Explore more about: Adobe Air, FeedReader, RSS. 5 Ways to Transfer Data From PC or Laptop to Android PhoneHow To Convert PDF To Word. Get That Text Back! I'm planning to add a way to categorize and filter feeds, so you can show just one feed or all the feeds in a given category. Unfortunately I've been busy with my actual job :), so haven't had much time lately to work on Snackr, but I'm hoping to get back to it soon. Nice...Google Reader Integration will make it 'perfect'.!!! Thanks for the update. this reader looks very impressive i will definatly give a try to this reader. 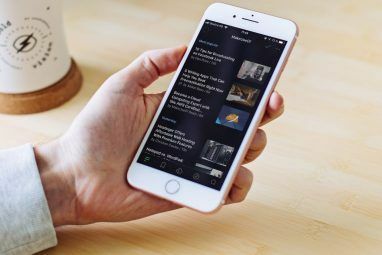 At adelph.us we love to read rss feeds and we thought it would be a great idea to integrate a full featured rss/atom feed reader into the adelph.us social communication platform. We looked at some of the available feed readers and while many of them are very good, most lacked some key features that we believe are needed to help members easily add, read, and recycle feeds. At adelph.us we believe that there should be more than one choice for internet users when it comes to key applications like feed readers. We think that a feed reader should be tightly integrated into a unified social communication platform that allows members to use all of the features with one log or openid. We believe in the Open Source development community, and because of this in the near future we will be releasing the adelph.us reader under an Open Source license. This means that the adelph.us reader will continue to evolve to meet the needs of users and developers.The adelph.us reader has all of the features that you would expect in a top of the line feed reader. When we started the development process we wanted to make sure that we matched feature for feature with the best feed readers. 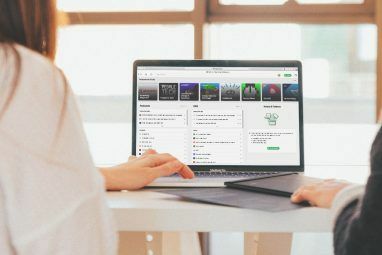 Once we had the key features list we began to add new features that would make the adelph.us feed reader an easy to use aggregator that gives members the ability to read, share, and republish feeds. *Push feed and feed items to "Conversation Channels"
I hate to be the "yes, but" guy but a word of warning: Snackr on a Mac, at least on my MacBook (Mac OS X Leopard), takes up a good 10% of CPU for its scrolling effect (more depending on the scroll speed). for comments from the developer. Otherwise, a really neat app. Thanks for the word of warning Ravi...You would think there would be a quick update for something as bad as that. Howdy T.J! I am glad you found my comment useful. The response from the developer notes that he has optimised his code as much as possible and is waiting on the Adobe folks to respond. He notes that the problem exists only on a Mac, so the majority of readers will not have to worry about this at all, and the Mac folks can tune the scroll speed low to lessen impact on the CPU. One thing I'm planning to add in the near future is alternative animation options, so you can have items fade in over time instead of constantly scrolling. That should reduce the CPU usage quite a bit.